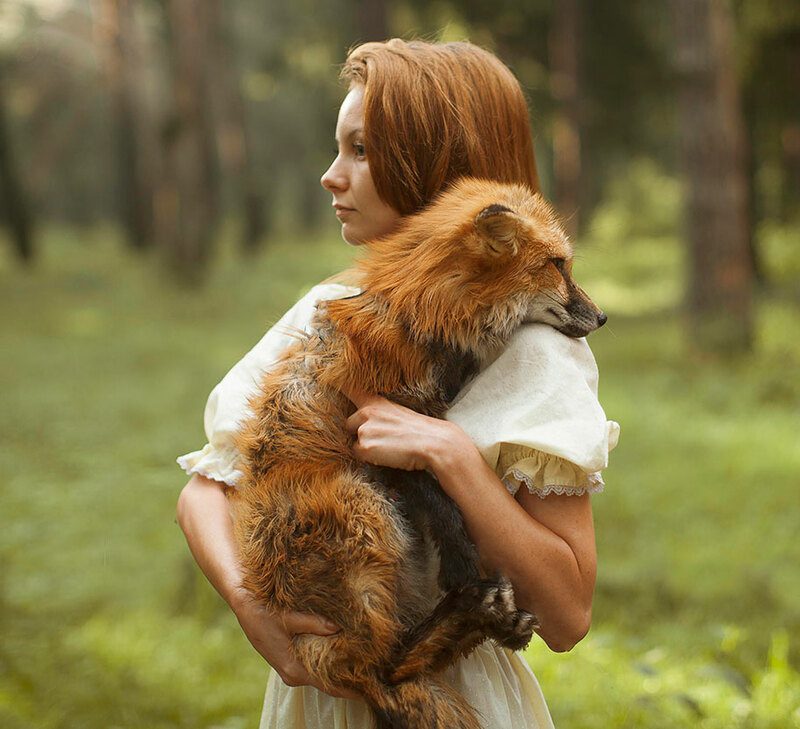 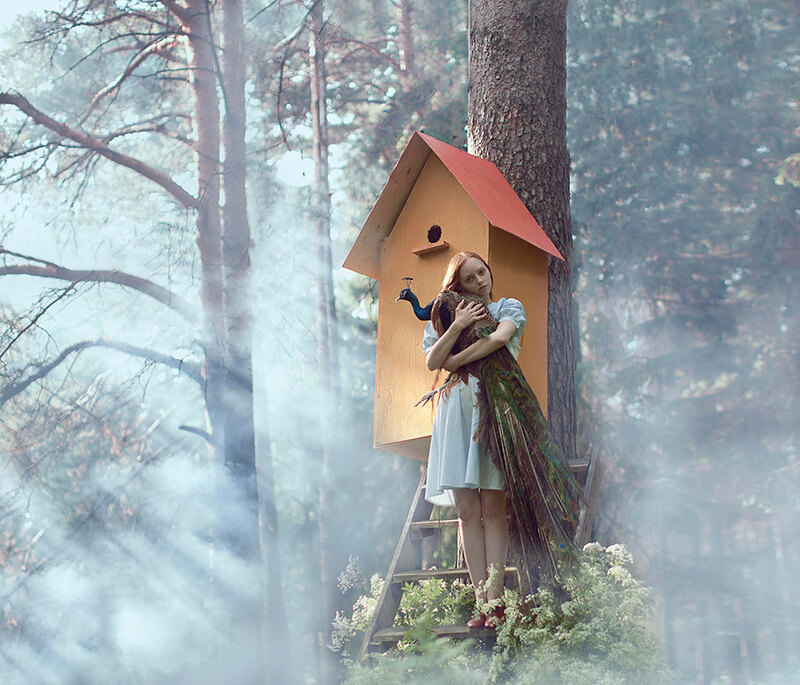 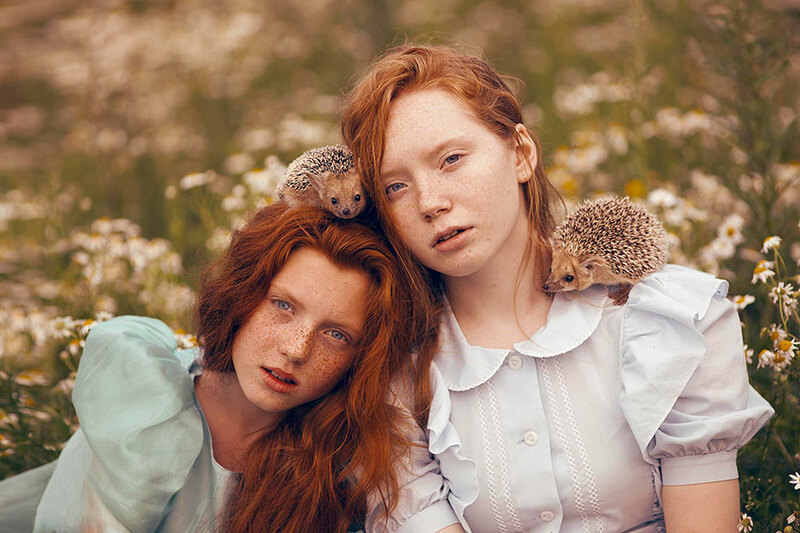 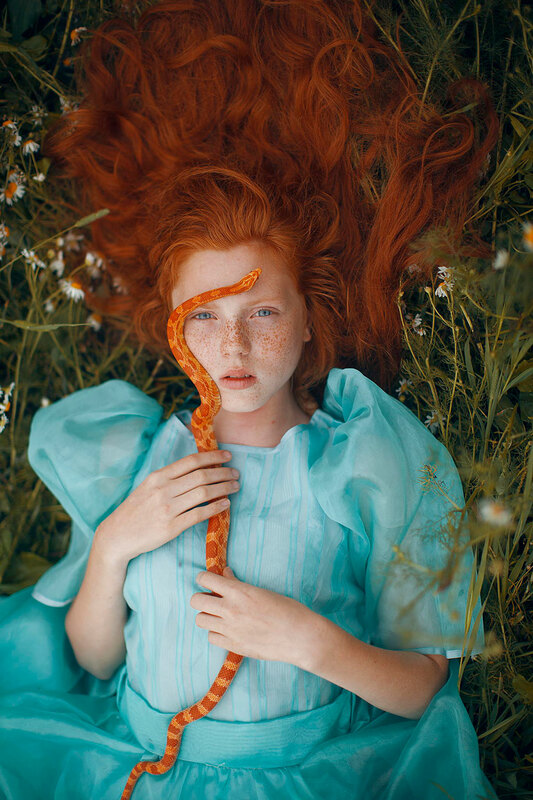 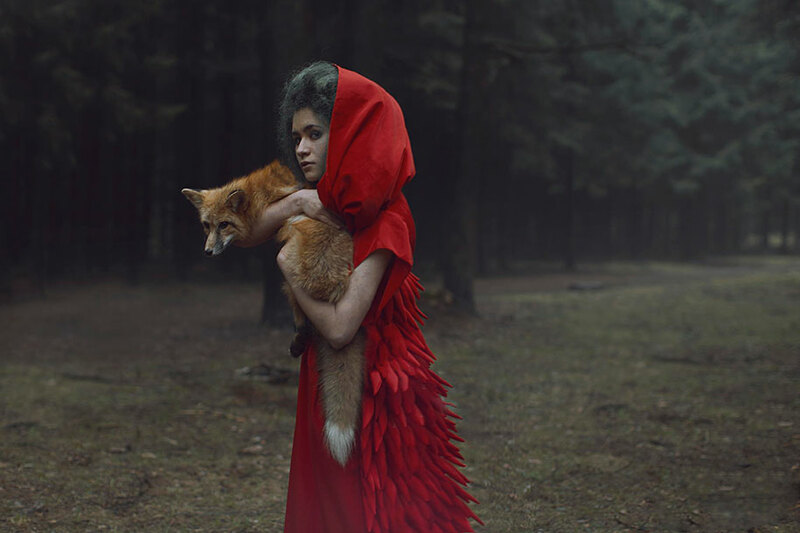 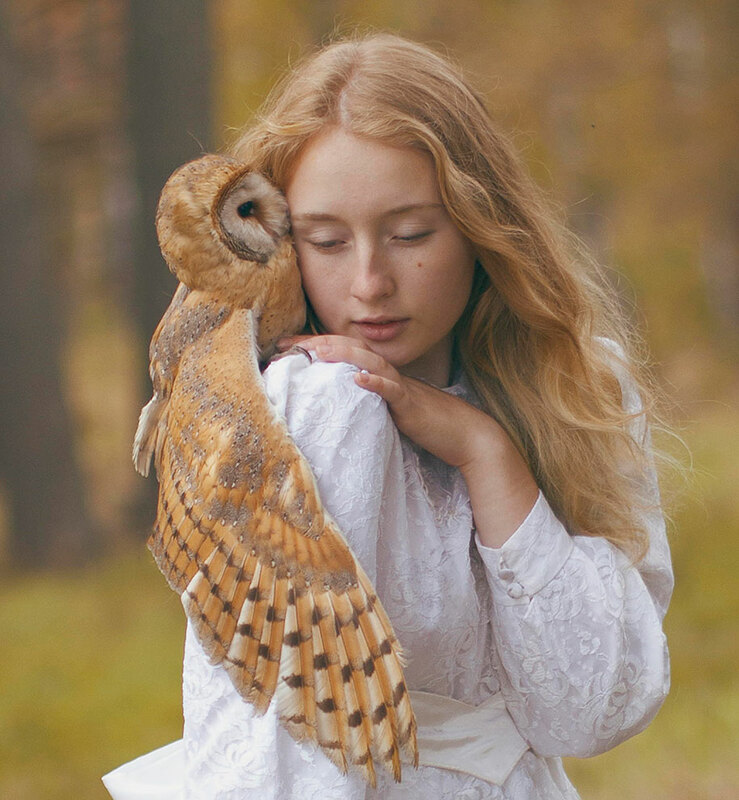 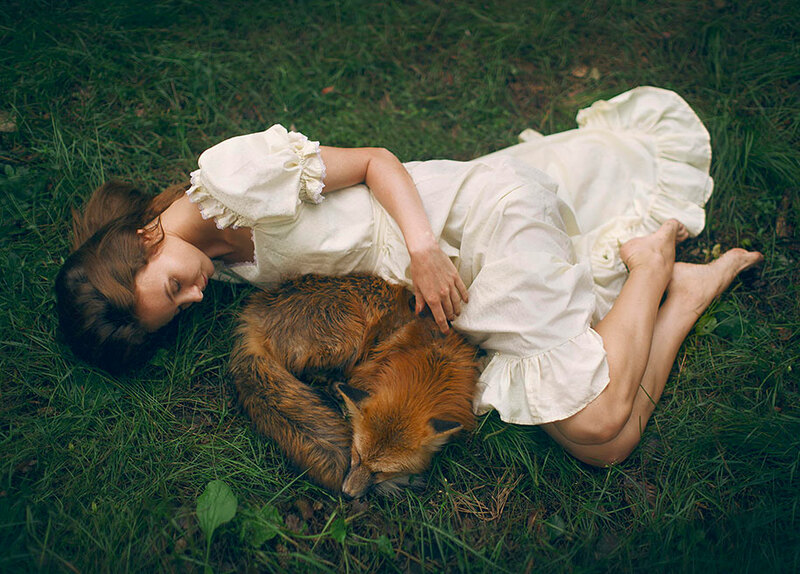 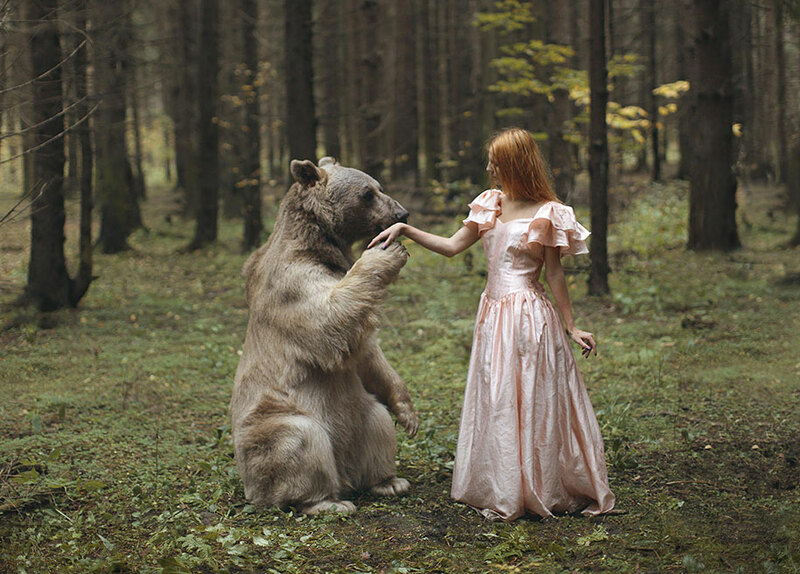 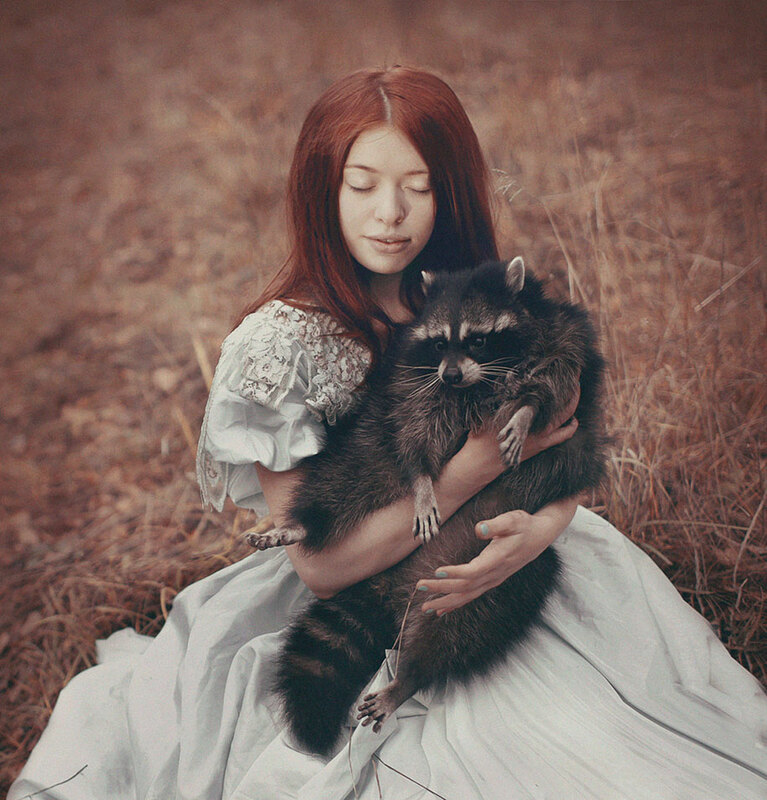 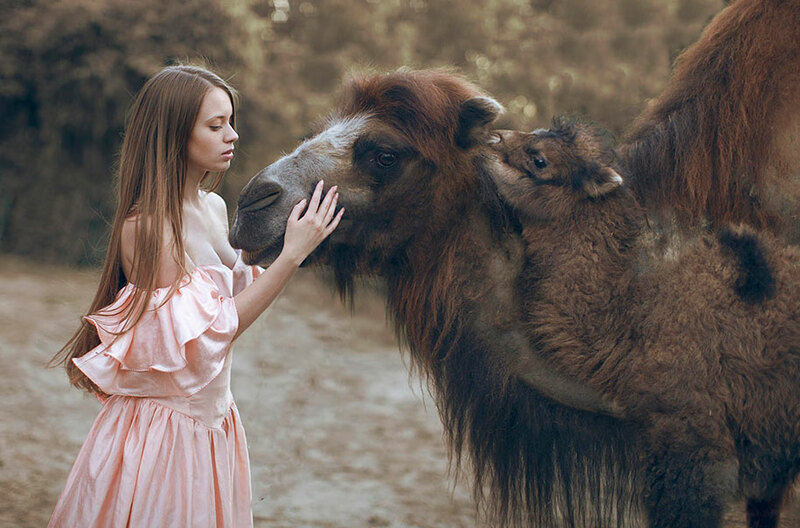 Katerina Plotnikova is a young Moscow-based fine art photographer who brings animals and humans together in her spiritual and magical photography. 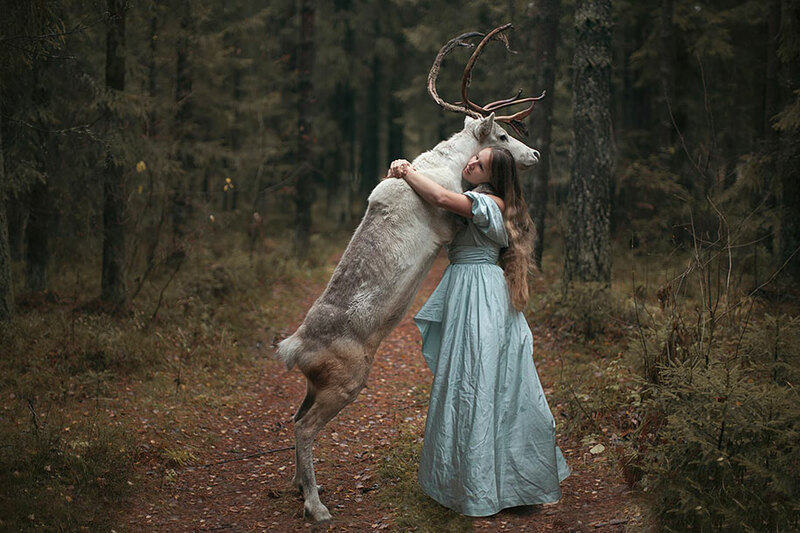 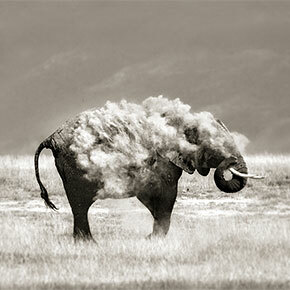 Her fairy-tale-inspired works recreate the long-lost or long-forgotten bond between animals and humans. 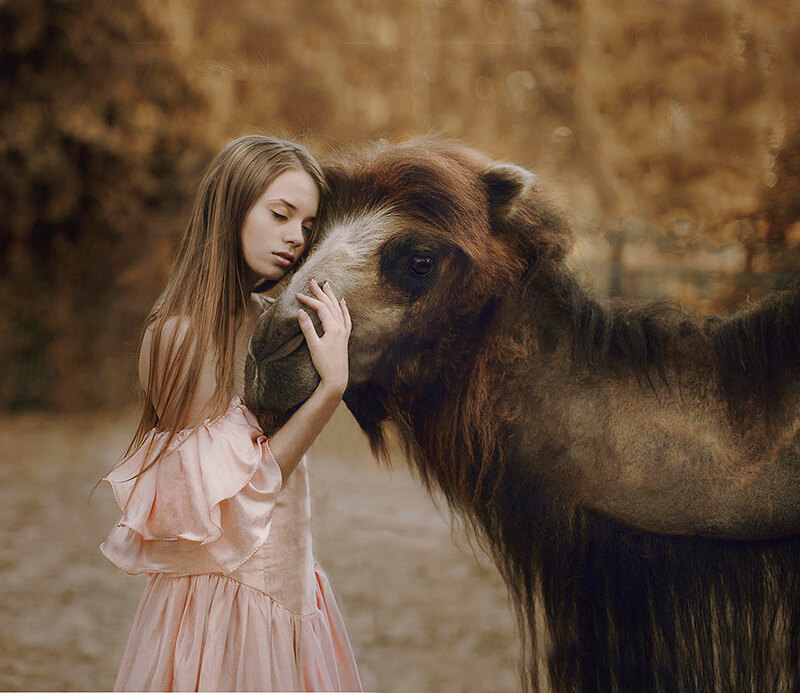 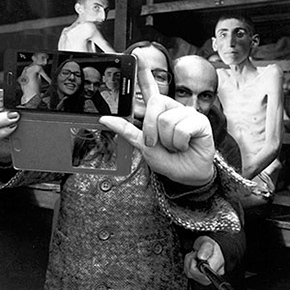 The unusual selection of animals in Plotnikova’s striking works and their tender interactions with humans make her photography seem like digitally enhanced artwork. 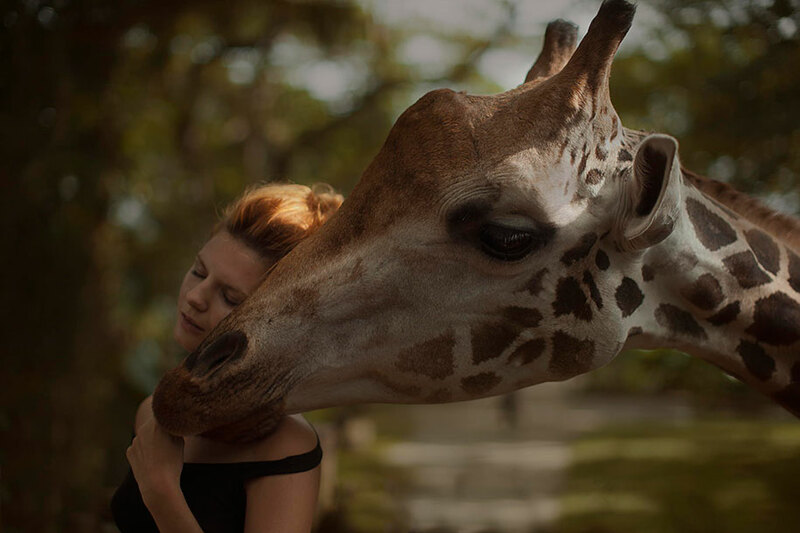 However, all of the animals are real and alive. 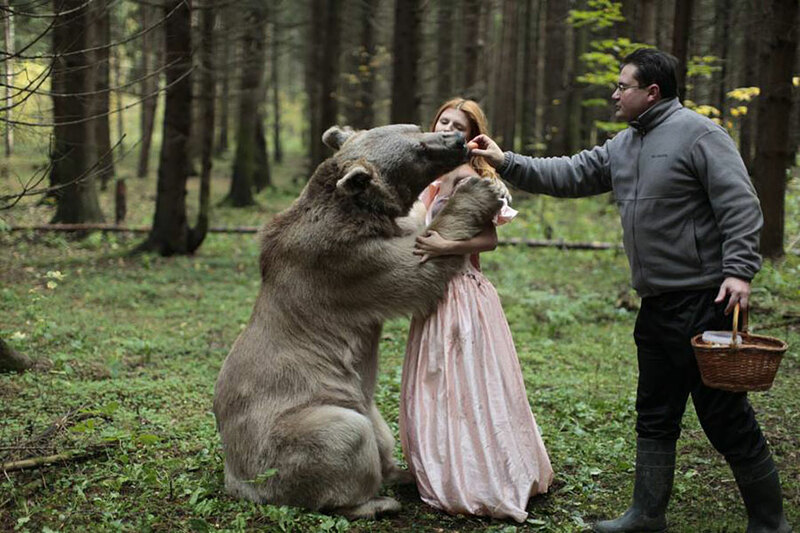 Plotnikova’s wild ideas materialized with the help of animal trainers as well as understanding and devoted professional models. 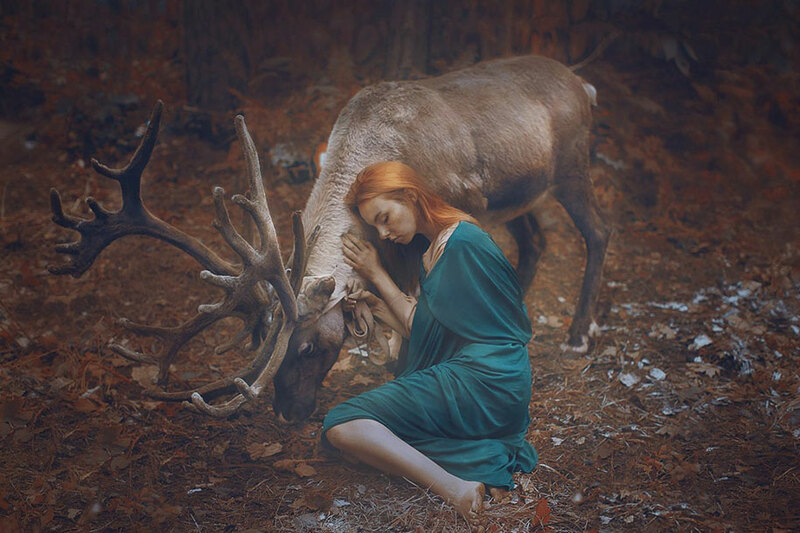 The contrast of the wild animals and their fragile-looking human partners make the scenes look serene, mystical and nostalgic, reminding us of the fundamental affinity of all living creatures. 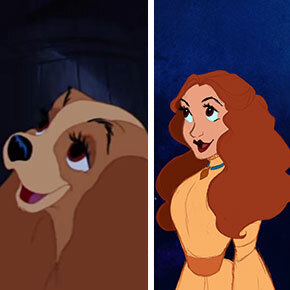 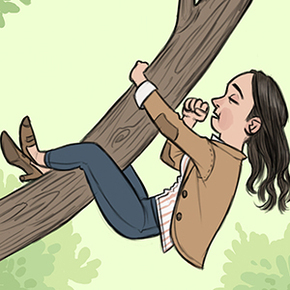 But… even so it’s beautiful. 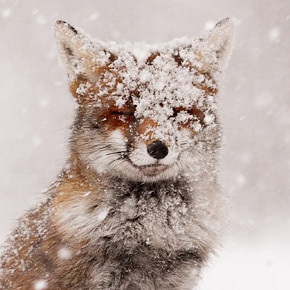 Dude…. 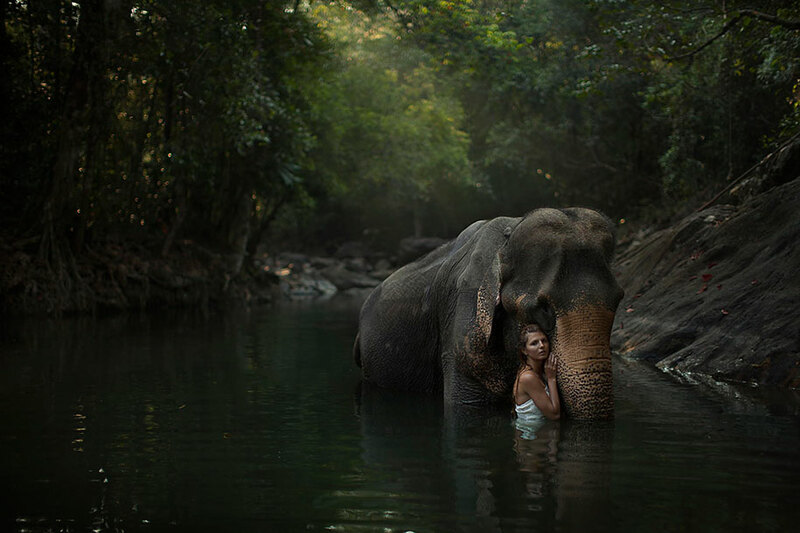 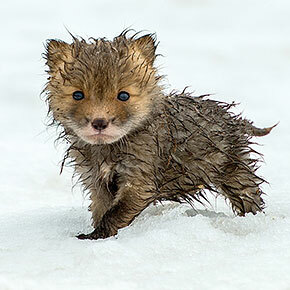 those poor animals, trapped in cages their entire lives, the pictures are nice, but the poor animals, their tamed, I’be got a gift, I can do that with real wild animals, who run free in the wild. 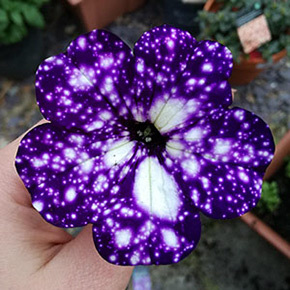 But you don’t see me getting pictures of it. 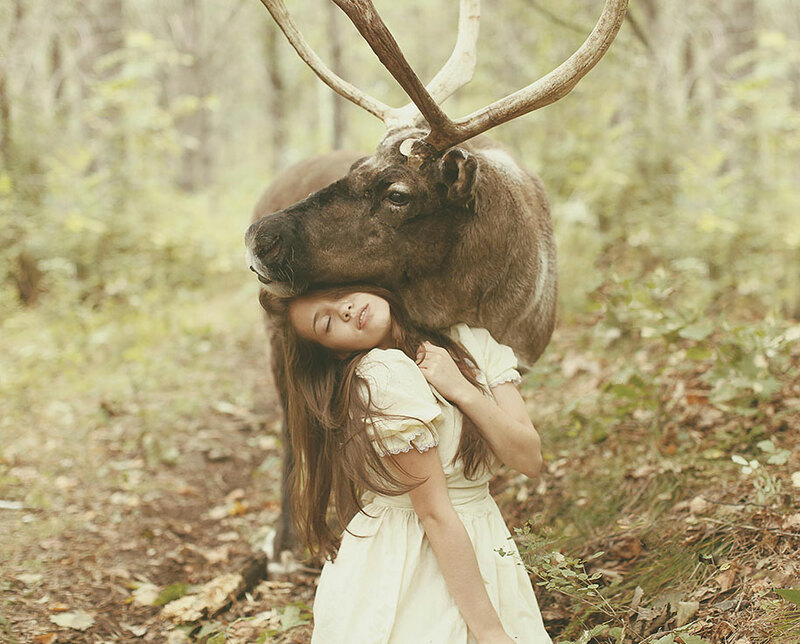 I call BS… There’s no way all these animals are real. 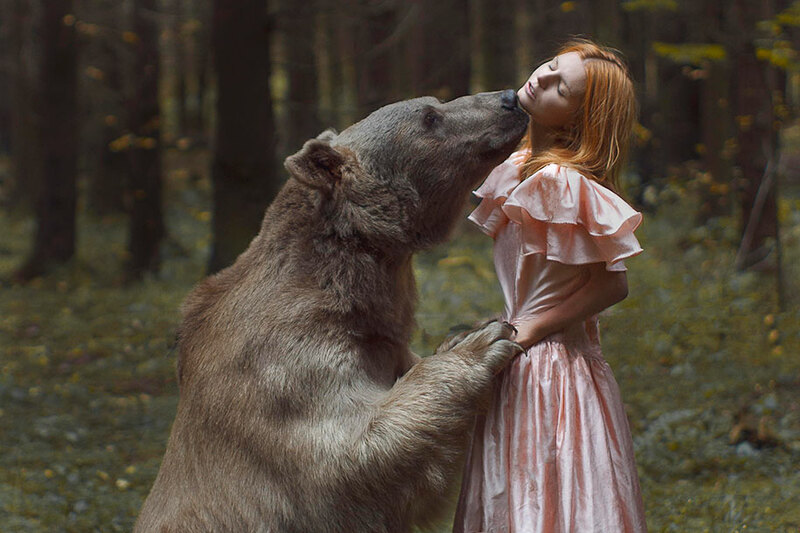 Sorry… it looks photoshopped, but nice try.